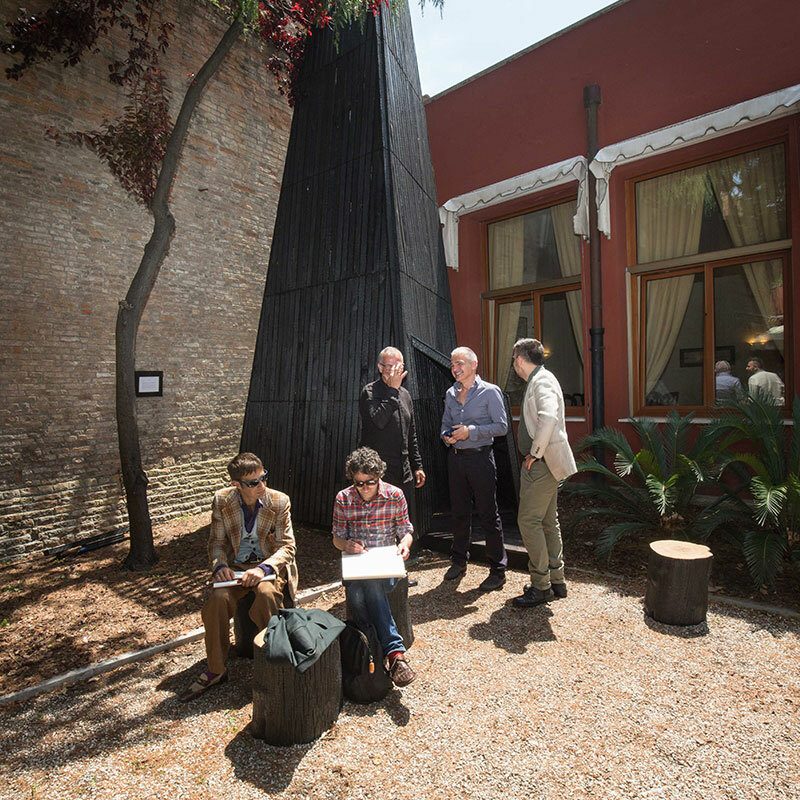 Established in 2015, the Venice Meeting Point is a platform created by Lightbox for international dialogue in contemporary art, with the aim to foster collaboration opportunities between visual artists, art organisations and the international arts community, as well as cultivate deeper public engagement with the arts. 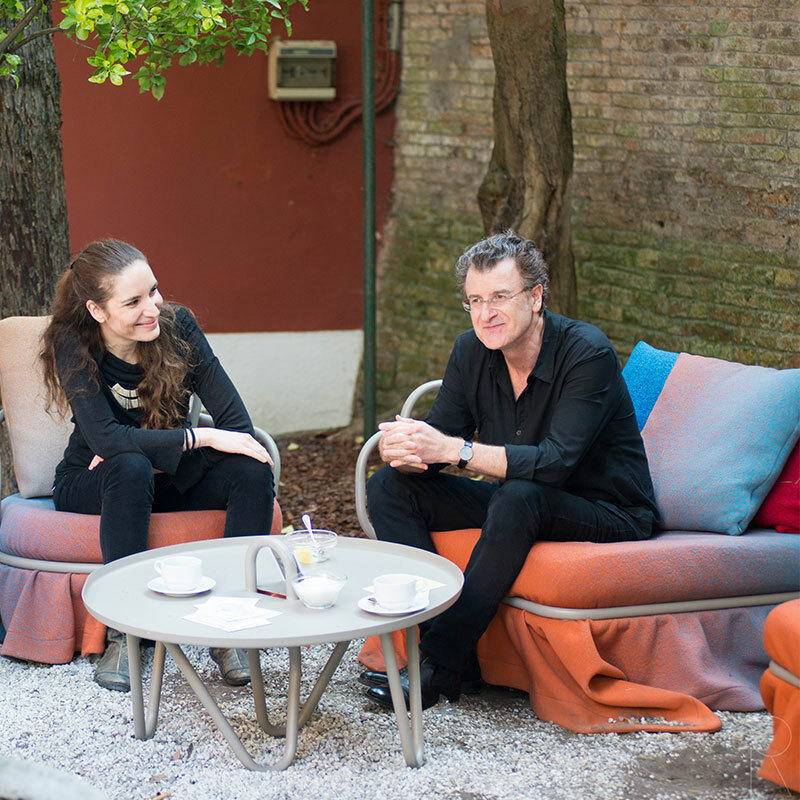 The Venice Meeting Point, just round the corner from the Arsenale entrance, is a private club, the Navy Officer’s Private Club, which exceptionally only for the 4 days of the Biennale openings, welcomes also My Art Guides friends and partners. 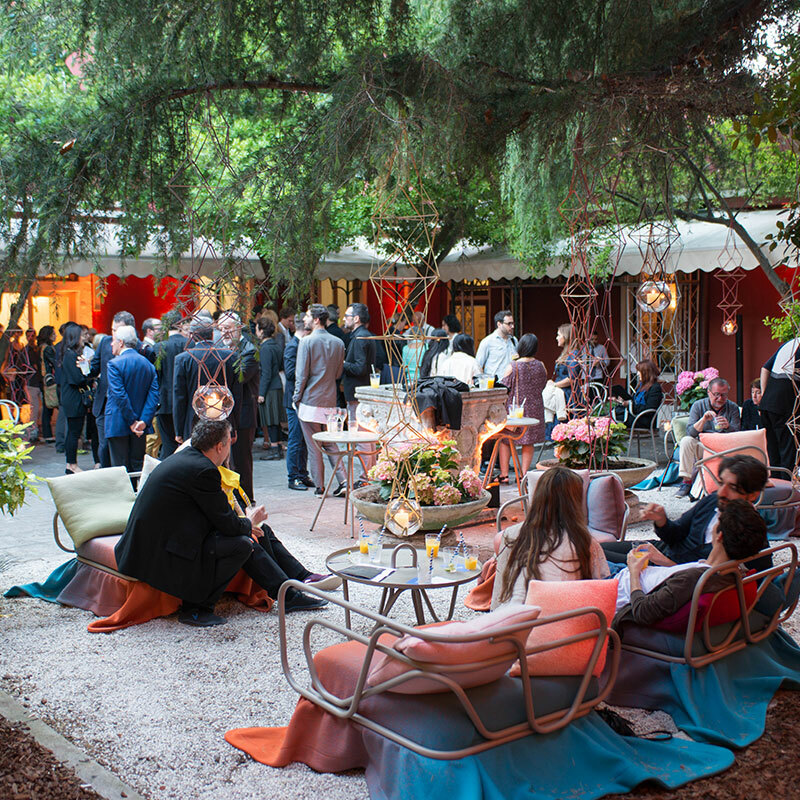 The Club has a restaurant, a beautiful courtyard, a conference room, a screening room, a bar and a large lounge area.